Note: If you're part of an Enterprise plan, please visit our Enterprise guide instead. Collaborators cannot create or delete prototypes. However, if you are on the Team plan and add a collaborator as one of your five team members, that collaborator can now create prototypes. Note that only a Team plan owner can delete prototypes. Sign in to your InVision account and navigate to the Projects page. In the top-right corner of the prototype page, click Share. In the pop-up modal, search for any person(s) or team(s) you want to add, and then click the + icon next to their name/s. Note: If the person is not listed, you can invite them by navigating to the bottom of the pop-up modal and entering their email address. When you're finished adding collaborators, click Send Invite. Note: If you share a prototype with a new collaborator (i.e., you have to enter their email address), they will need to click the link in the email before viewing the prototype in their account. 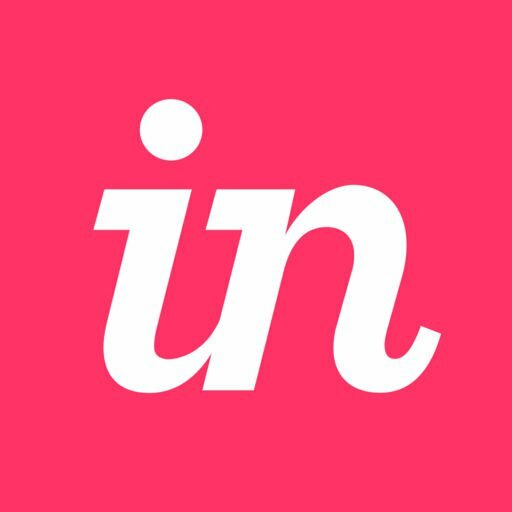 Sign in to your InVision account, and navigate to the Projects page. In the top-right corner of the prototype page, click the collaborator's avatar. Alternatively, you can click the Share button. To remove them, click the check icon ( ) next to their name. Once the check has been removed, click Remove Person. When you remove a collaborator from a prototype (or remove them completely from an account), their comments remain on the prototype. Quickly create a public share link from your main dashboard by hovering over your prototype and clicking Share. Then, click public share link at the bottom of the pop-up modal. People who receive your public share link only have the ability to view, interact with (click through), and leave comments on prototypes via that share link and cannot otherwise see the prototype. They cannot leave comments via the mobile app or via web view from their mobile device at this time. To adjust the default settings for your public share link, click Link Settings at the bottom of the pop-up modal. You will then see a list of default share settings. Keep reading for a description of each setting. Note: These link settings cannot be changed for existing share links. A new link must be generated for the settings to take effect. To learn more about what each setting does, check out the following table. When toggled on, link viewers can comment on prototype screens. When toggled on, link viewers can navigate between screens by using the Left and Right Arrow keys or by clicking the screen drawer icon ( ) at the bottom right of the prototype. When toggled off, link viewers can only navigate between screens via hotspots. Enabling password protection lets you create a custom password for your prototype. When you send someone a share link, they’ll need to enter the password to view the prototype. Note: If you are on an Enterprise plan and require authentication for share links, you will not see this setting. This setting lets you choose the screen your prototype will start on. When toggled on, viewers can navigate your screens by clicking any hotspots you've created. When toggled off, viewers can only navigate the prototype by using the Left and Right Arrow keys or by clicking the screen drawer icon ( ) at the bottom right of the prototype. When toggled on, your hotspots won't flash when someone clicks a prototype screen. This is especially useful when conducting user testing. When you require user identification, viewers must enter their name and email address to view the prototype (unless they are already signed in to their InVision account). Note: While there isn't a link setting that lets you share a specific selection of screens, that is an option. To learn more, check out this article: How do I share specific screens only? For complete instructions on creating a new team and inviting members, check out this article: How do I set up my team? To remove members from your team, check out this article: How do I remove members from a Team plan? Team members may encounter a project limit if they try to create a prototype or board on their personal account rather than the Team plan. To create a prototype or board on a Team plan, check out this article: How do I create a prototype on a Team plan? Note: If you create a prototype under the Team plan, you will notice that—rather than you owning the prototype in your personal account—the prototype belongs to the Team plan owner by default. This is to ensure that all members of the team can access the prototype via the Team account. You can manually transfer prototypes to the team at anytime. The team member will need to enter the team owner’s email address when performing the transfer. For more information, check out this article: How do I transfer my prototype to a Team plan? To access your team's prototypes or boards, navigate to the Projects tab. Click the My Projects drop-down, and then click the appropriate team. Return to your personal projects by clicking the drop-down again and choosing My Projects.